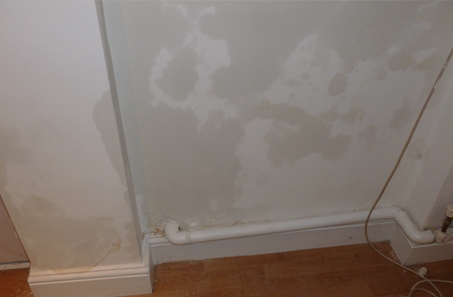 Dampness, be it rising damp, penetrating damp or condensation can be a major problem in the home or work place. In the later part of the 19th Century properties started to be built with an installed damp proof course (dpc). These were slate dpc’s and years later many properties had a Bitumen dpc installed. The main purpose of a Damp Proof Course is to prevent moisture rising room the ground into the wall. Bricks and mortar are permeable and so they absorb ground water like a wick. A dpc is installed into the brickwork at around 6 inches from ground level to prevent mositure from rising. A dpc will not always be effective, for whatever reason, be it bad workmanship in installing the dpc, or by the dpc being bridged by higher outside ground levels or internal ground levels. Bridging is the most common problem for damp rising up through the walls. Although True Rising Damp is not so common, it does exist. Another problem that properties face due to bad workmanship or simply wear and tear is Water Penetration. This is when water is penetrating through the walls, either from above, straight through, or from below. Water penetration can come from various sources including down pipes, blocked drains, rain water, leaky pipes… almost anything that has a source of water. This can be a very serious problem if not discovered and cured, especially when timber is involved. The commonest form of dampness in properties today, especially during the colder months, is condensation. Air can hold X amount of water vapour depending on the temperature of the air. The colder the air the less water vapour it can hold. Condensation will start to form when the Relative Humidity drops below the dew point (Dewpoint is the temperature at which the air is 100% saturated). The more moisture and the colder the air = the more condensation will form. 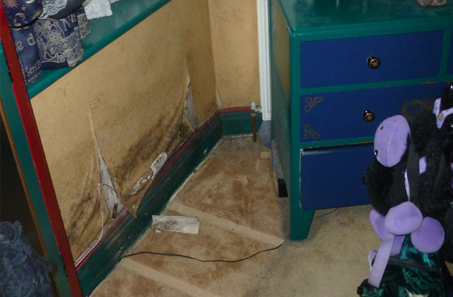 Condensation can often spoil decorations and can cause the formation of mould. Mould in properties has been reported to cause breathing difficulties and other health related problems. Condensation can form in all rooms including sub-floor level and roof voids. 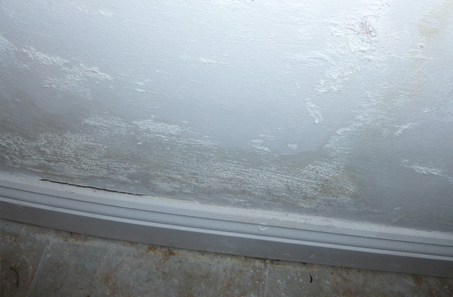 Mould growth will often grow where there there is dampness and is also largely associated with condensation. Mould growth can have adverse effects on the health. Condensation and mould will often form where there is a lack of ventilation, heating and moisture control.